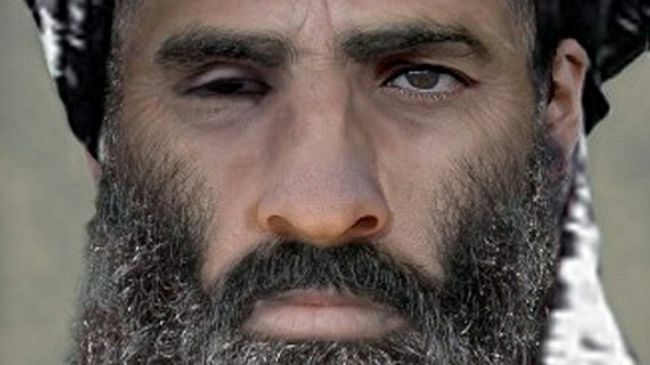 JNN 31 July 2015 Kabul : The Taliban on Thursday evening officially confirmed the death of their leader Mullah Omar as militants said Omar died of “sickness”, citing family members. “The leadership of the Islamic Emirate and the family of Mullah Omar… announce that leader Mullah Omar died due to a sickness,” a Taliban statement said, using the movement’s official name. The Taliban statement did not say when he died but said “his health condition deteriorated in the last two weeks” and “not for a single day did he go to Pakistan”. It added that three days of religious ceremonies would be held “to pray for the soul of Mullah Omar”. Well-informed sources told that on Thursday a meeting of the Taliban supreme council (shura) was called in Afghanistan on Wednesday in which it was unanimously decided that Mullah Akhtar Mohammad Mansoor will now serve as the movement’s supreme leader. Sources said that Khalifah Sirajuddin Haqqani and Haibatullah Akhundzada were also appointed as deputies during the meeting, which was attended by all available members. New Taliban chief Mullah Akhtar Mohammad Mansoor previously served as the second-in-command of the movement. He belongs from the Afghan province of Kandahar and is said to be supportive of peace negotiations. On Wednesday, a spokesman for Afghan President Ashraf Ghani and Afghanistan’s intelligence agency officials claimed that the reclusive former Taliban chief died two years ago at a hospital in Pakistan. The United States also claimed that reports of Mullah Omar’s death appeared “credible”. News of the former Taliban leader’s death came just two days before a second round of peace talks between the insurgents and Afghan government representatives which are expected to take place in Pakistan. Also, Daesh or the self-styled Islamic State (IS) had in the past few months increased its footprint in Afghanistan establishing itself in previously Taliban-controlled areas. Daesh and Taliban are also locked in fight for control of some other regions. He also fought against Soviet occupation forces in Afghanistan in 1980s during which he suffered a shrapnel injury to his right eye, due to which he Lost his Right Eye. This entry was posted in Asia Pacific and tagged Afghan, Mullah Akhtar Mansoor, Mullah Omar, pakistan, Supreme Leader, taliban. Bookmark the permalink. THE ONE EYED VILLIAN OF THE PIECE IS CONFIRMED WASIL E JAHANNUM . SO CALLED MULLAH UMAR MALOUN IS LONG DEAD , SAME IS TRUE FOR ABU BAKAR BAGHDADI BUT THIS IS A POLICY OF THESE RABID ORGS THAT IN PUBLIC THEY ARE KEPT ALIVE TO KEEP THE MORALE OF THEIR ARMY AND THEIR WASIL E JAHANNUM IS ONLY DECLARED WHEN THEIR ABSENCE BECOME VERY OBVIOUS OR A SUCCESSOR STARTS ASSERTING HIMSELF . ANY WAY MOST OF THE BIGGIES OF THE CRIMINAL TERRORISTS HAVE REACHED THEIR DESTINATION, THEIR MORALE IS VERY LOW , HOW- EVER EVIL ATTRACTS VERY EASILY , NEW RECRUITS HAVE COME, A NEW EFFORTS ARE NEEDED BY ALL RIGHT THINKING ELEMENTS TO GET RID OF THEM COMPLETELY AND ONCE FOR ALL , THEN ONLY THE WORLD COMMUNITY SHALL TAKE A SIGH OF RELIEF..